You guys. It’s October. How crazy is that?? That means there are no more months left in the year without holidays. NO MORE months! You guys. This is serious. It is on. Ok, I know, I’m all prematurely freaking out about this over here. But I simply can’t help myself. I just love this time of year so much. It’s hard to maintain any kind of composure. But I’ll try. For you. 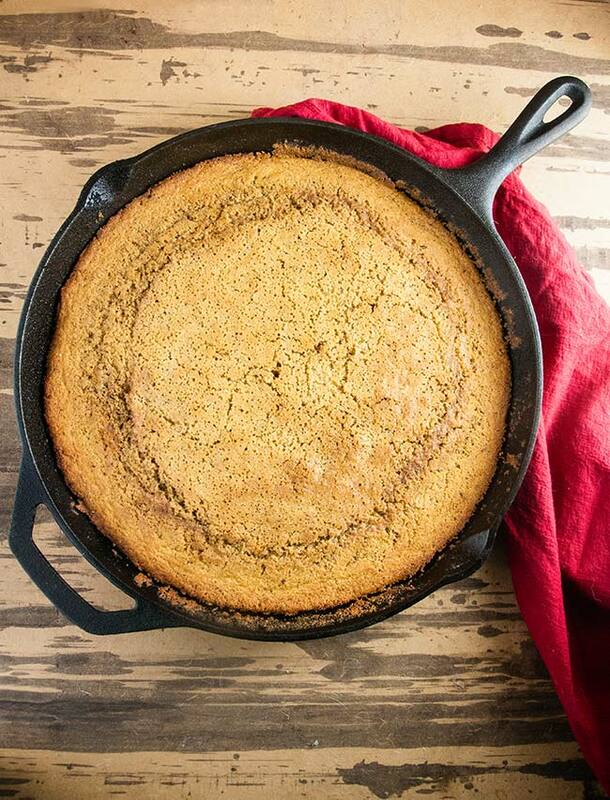 That’s why out of all the Thanksgiving recipes I could possibly share today, during my first blog post of October, I chose to share this easy maple brown butter skillet cornbread recipe. Because it’ll go on my Thanksgiving table for sure even if I end up going rogue and serving this Brown Butter Gnocchi with Butternut Squash and Kale instead of turkey again like I did last year. 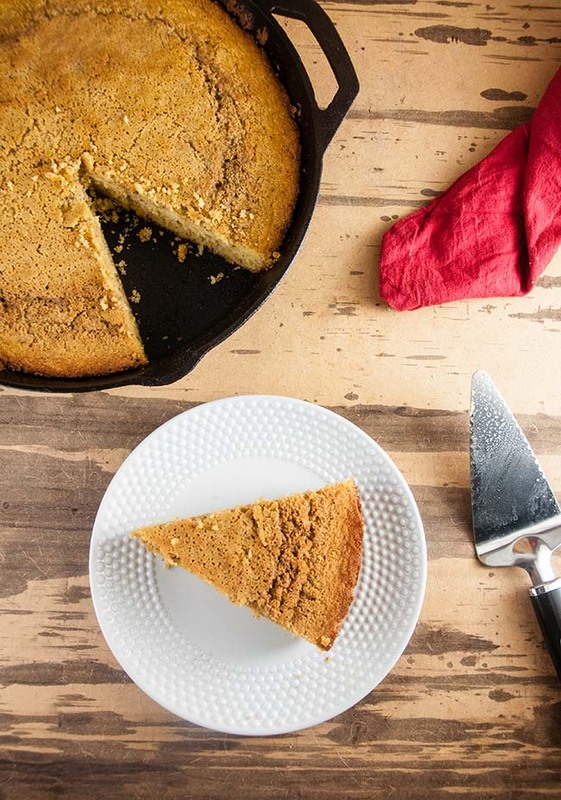 But, while this maple brown butter skillet cornbread will have a place on my Thanksgiving table regardless of what I serve as a main dish, it’s fall. Cornbread is just a must. So it kind of tempers my overzealousness just a little. I mean cornbread isn’t just for mopping up Parmesan Garlic Twice Baked Potato Casserole on Thanksgiving. It is perfect to dip into this easy Crock Pot Chili or to serve alongside my Slow Cooker Mexican Chicken Soup. Pretty much cornbread and slow cooker meals should just be best friends because they go together so well. Now cornbread can go one of two ways. It can go sweeter, more like corn muffins in bread form, or it can go a little savory and smoky. I like either way. With this recipe, we kept it sweet with maple syrup instead of sugar or honey. It adds a little extra fall flavor to this and makes it a great next day breakfast with a little butter and jam. Delish. Plus the brown butter adds this little background of nuttiness. 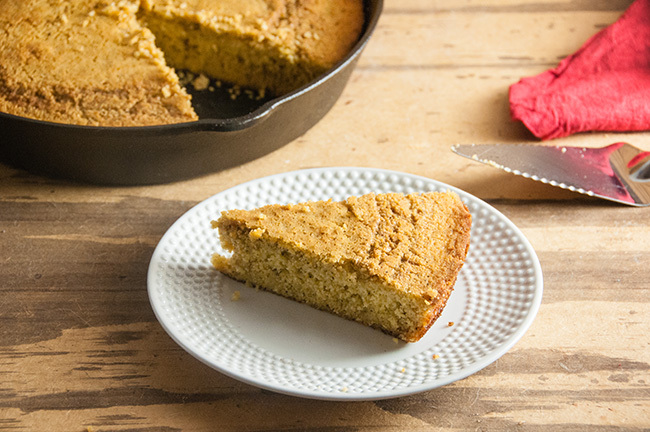 The whole combo brings a depth of flavor to simple cornbread that is just so good. Can’t get enough. So worth it. 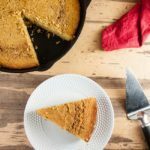 Delicious maple brown butter cornbread is a play on traditional sweet cornbread that is perfect for Thanksgiving. Combine dry ingredients in a bowl. Whisk together and then set aside. Cook butter in the skillet you intend to bake the cornbread in over medium heat, stirring occasionally. Let it melt, then cook another 2 minutes or so until the butter gives off a nutty aroma and turns a golden brown color, which you can check on a spoon. Pour butter into dry ingredients. Add eggs, milk, and syrup. Stir until batter is well combined. Pour batter into skillet. Bake 18-21 minutes or until center comes out clean. ** Feel free to sub all purpose flour instead of gluten free flour. This looks delicious and really comforting. I would pair it with a chili for dinner! I’ve never had corn bread but I think it’s time to start trying out new dishes. Never had cornbread? Oh, it is time!! Now this is how you jazz up some cornbread! This looks so delicious! Love the fall twist on cornbread! I absolutely love cornbread, it just is so warm and comforting.